“We have a vision of bringing indoor cycling to any road on the planet by mixing real-life video routes with augmented reality,” said Petr Samek, one of Rouvy’s founders and the company’s CEO. 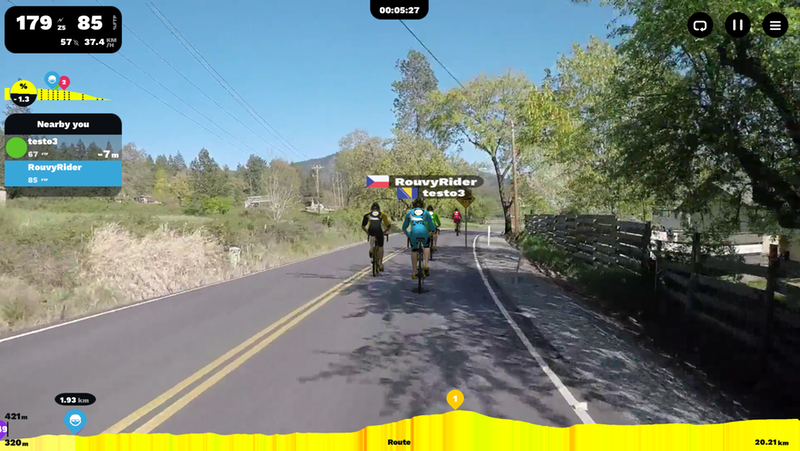 “Our app allows cyclists and triathletes from all over the world to virtually come together on a real road by generating and processing animated 3D riders in real 2D videos. Samek continued, “Rouvy ensures a precise simulation of outdoor cycling brought indoors by using advanced algorithms to sync both video and elevation profiles. To significantly improve the elevation profile, based on camera angle tracking, took two years of development and many years of university research. The company adds that its new concept provides users with enhanced levels of diversity, interactivity, fun and competition. Rouvy’s new augmented reality will be in private beta for two months. Registration for early access is now open. Cool concept, but this is not augmented reality. I think the creator is trying to co-opt a buzz word to make the product seem more cutting edge. I’d call it video simulation.